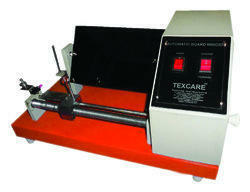 We are the manufacturer of Yarn Testing Equipments. 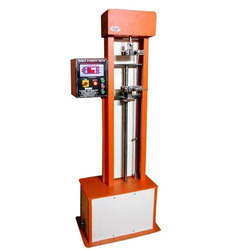 Yarn Strength Tester offered find wide application in textile industry for meeting the needs of testing tensile strength as well as elongation of yarns in single stands. The areas these are widely used in include for testing of products like wool yarn, cotton yarn, chemical fiber yarn and others. 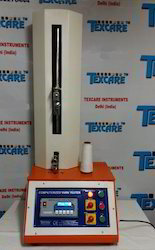 Further, these testers also provide an inexpensive way of functioning and are tested by team of quality controllers so as to ensure in them high functional accuracy standards. Their availability at competitive prices and capability to deliver consistent longer operations also make these widely preferred by the customers. Twist Tester is microprocessor based equipment for accurately determining twists in single, double and multiple twisted yarns. Normal / Reverse Switch for selection of Normal Untwist of Reverse operation in Twist imparted in other direction. 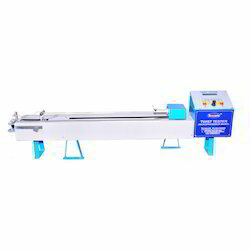 We are the leading supplier and manufacturer of Yarn Appearance Board Winders. We obligated to meet the quality standards as per the customer's demand. Trash Analyzer is used to determine trash, microdust and lint percentage in cotton samples. Wall Mounting Lea Strength Tester is used to determine Breaking Strength of Yarn Lea, and to measure CSP of yarn.